A Raspberry Pi powers this walking robot that can either run autonomously or be controlled by a smartphone. For my next project, I decided to create my version of a popular robot project: the hexapod walker. This Raspberry Pi-powered robot will have an autonomous mode where it runs by itself and avoids obstacles, and a manual mode where it can be controlled by a smart phone. Interested? Here's how I did it. There are lots of ways to use this gait in a hexapod walker. I chose to build a three-servo motor version which I found to have a balance between price and performance. Then I added another servo motor where the "eyes" of the robot are mounted. 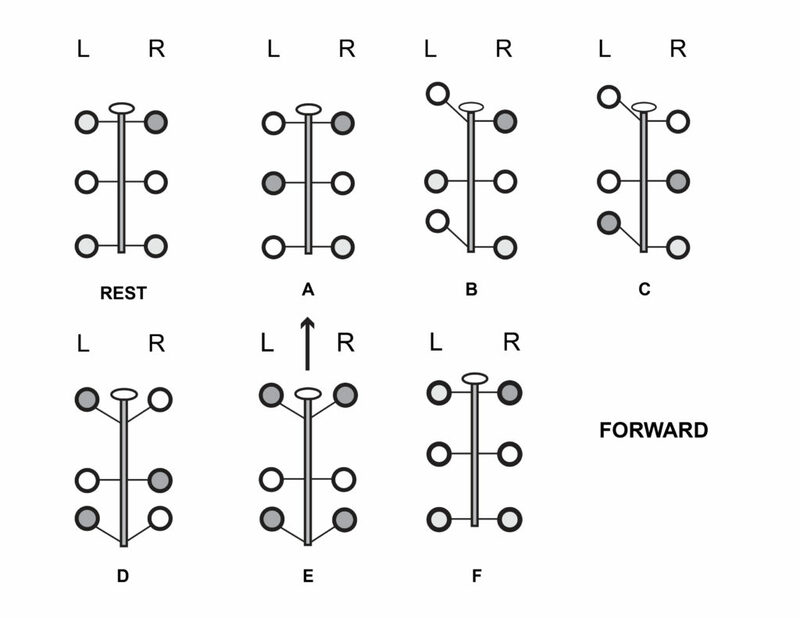 The robot will have three movements: forward, backward, turn right, and turn left. Any movement always involves tilting the robot to the right or left and then moving the leg that is lifted by the tilt. 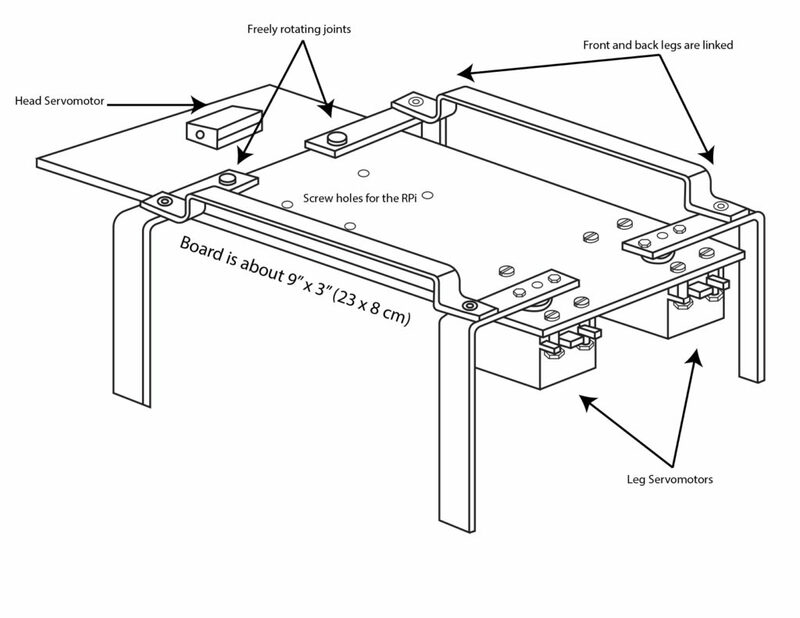 Below are the diagrams for the movements (a gray on a leg means the weight of the robot is on that leg). 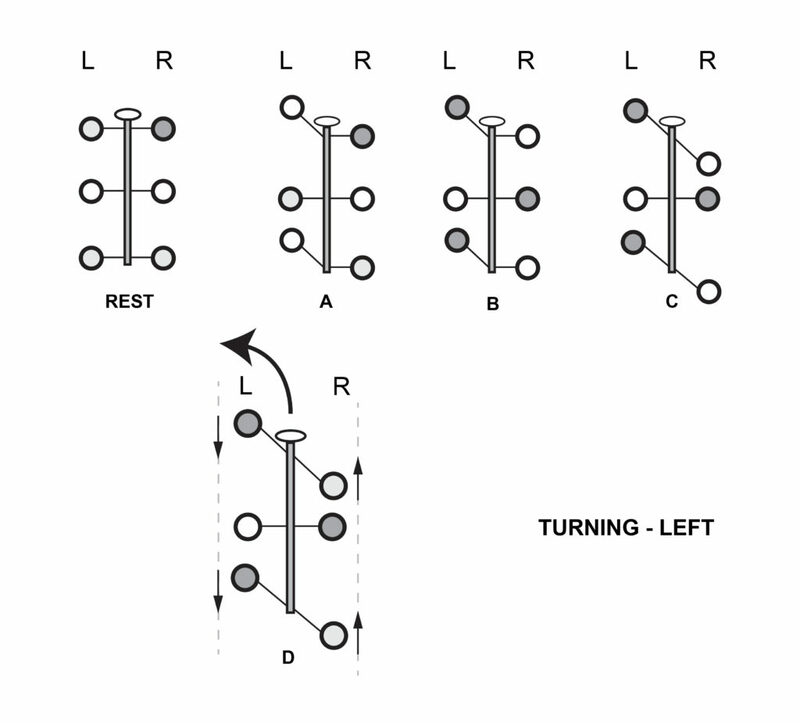 The turn-right movement is basically the turn-left movement in reverse. To make a three-servo motor design possible, the front and the corresponding back leg need to be interconnected while the third servo motor tilts the walker. This hexapod walker can operate in two modes. In the first mode (autonomous) the walker is free to roam. If it detects an obstacle, it will go backward two steps and then turn right. 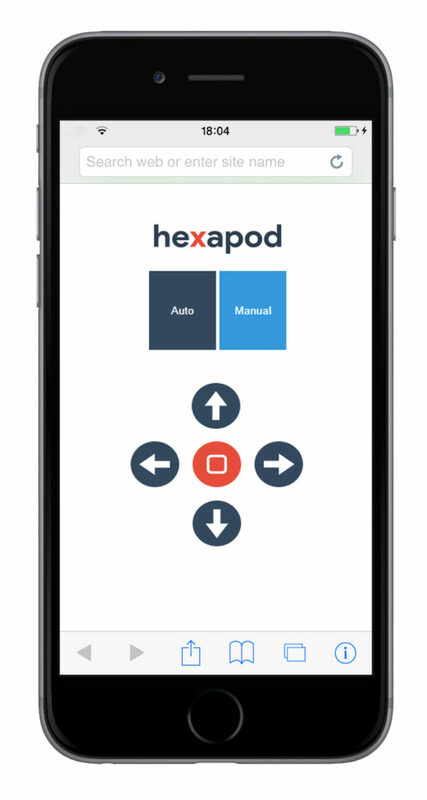 The second mode will allow the user to control the movement of the hexapod walker using any smartphone connected to the same network as the robot. Based on my design requirements, I needed a controller that can 1) control four servos simultaneously 2) read input from an obstacle-detecting sensor 3) connect to a network for wireless control. 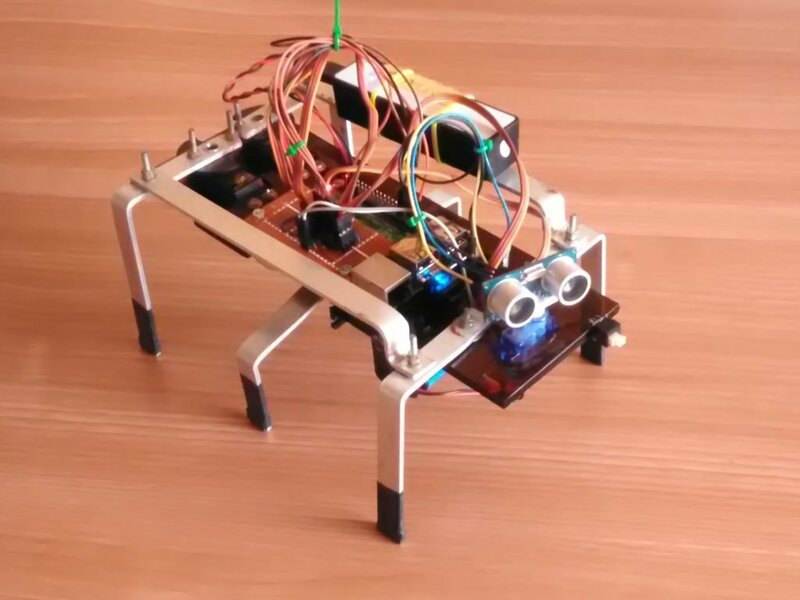 Creating an Arduino Hexapod Walker was tempting, but the added cost in featuring wireless connectivity plus the extra challenge (Arduino would be easier) made me decide to go with the Raspberry Pi. The hexapod walker have three major parts: the body/platform, the legs, and the head. 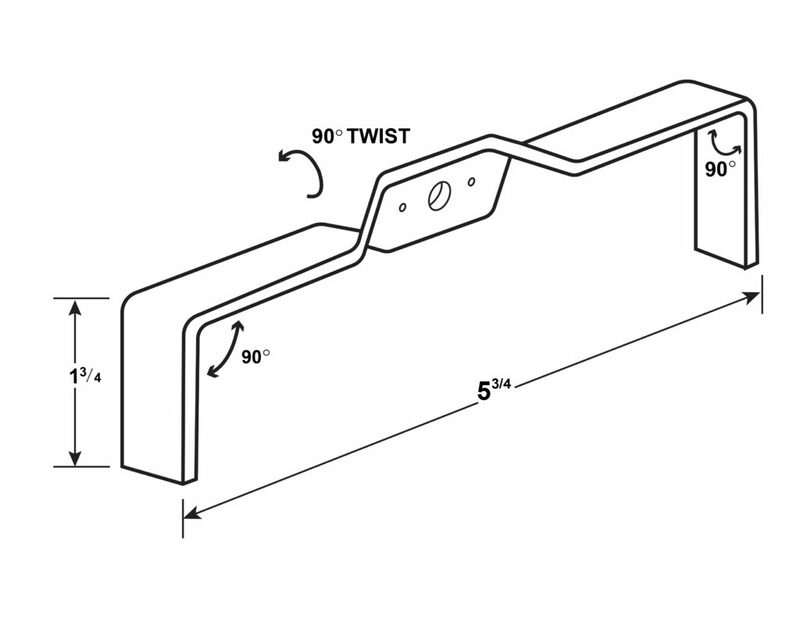 Here’s an example layout you can use to build the body of the walker. I used an acrylic board as my platform. Details of the legs follow. Here’s a layout for the legs. Mine used 1/2″ x 1/8 ” aluminum bars. The legs should be hard enough to hold the weight of the hexapod walker. No plastics please! There's a need to add a voltage divider for the echo connection to the Raspberry Pi because the Pi's GPIO's can't accept voltages greater than 3.3V. I also added another board with male and female headers to make the wiring look cleaner (see below). Not doing so will result in errors in the python code I presented below. This will create a folder /var/www/html/ which will contain all pages on the apache server we just set up. If the setup is successful, you can now access your RPi's IP address via a web browser. There are two ways to implement control over WiFi. One, the simpler way, is to use a wireless router and just use a device that connects on the same network as the RPi. 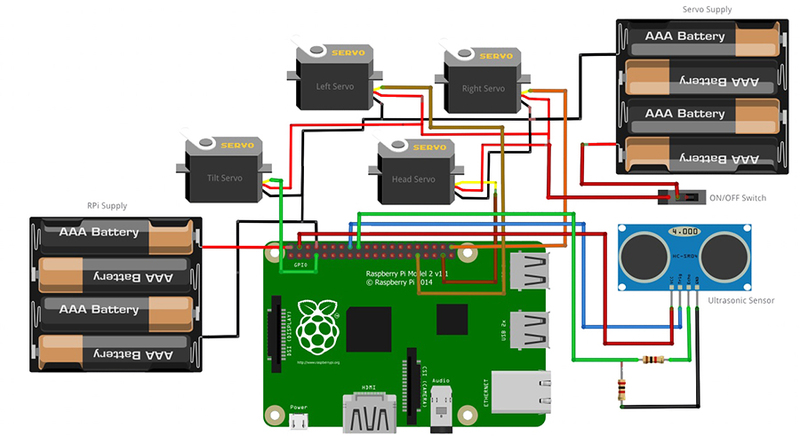 The second way is to make the RPi the access point, just like how I did with my RPi rover robot. The first method has noticeable latency especially if the walker goes far away from the router. The second method won't require you to have a wireless router but will draw considerable power from your RPi power source. I used the first method in this project. The servo control is done via pigpio's set_servo_pulsewidth function. This command accepts pulse widths from 500 to 2500 in microseconds. You can read more about this command here. Apparently, the pigpiod daemon keeps the servomotors running so I needed to issue a killall python (found on the php file) to stop the motors. 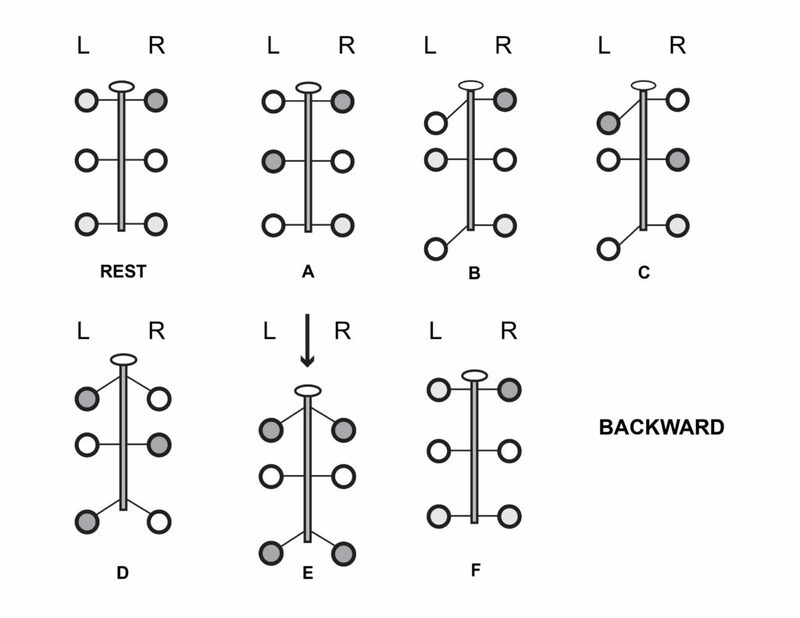 The rest of the code is pretty straightforward; I created separate functions for each movement (forward, backward, etc.). Of course, I didn't design this robot for terminal control, I designed it for smartphones. For that, we'll need two web pages: index.html and hexapod.php. 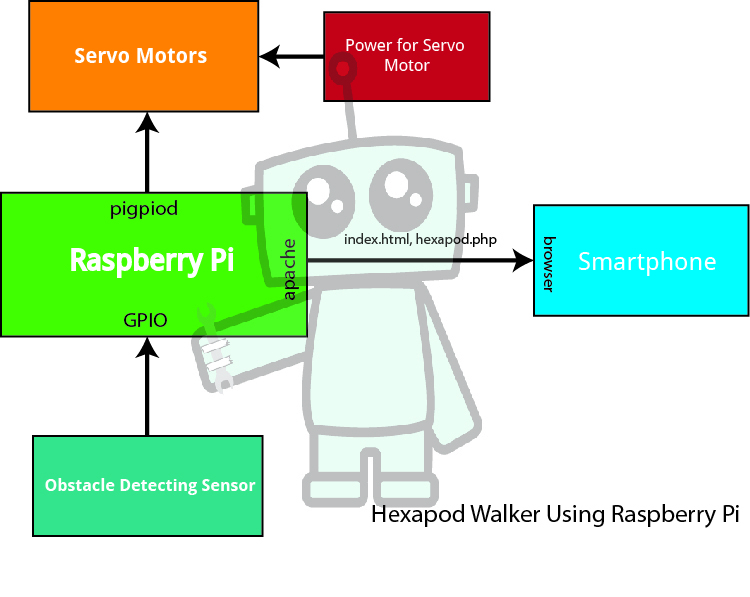 The index.html will contain all the buttons necessary to control the robot and the http request while the hexapod.php file serves the http request and connects with the python code above. The index.html and hexapod.php as well the python code above can be found on my repository. Know your hexapod walker's IP address. It's the same IP address you use to SSH to the robot. Using a smartphone (or a computer) web browser, access the IP address of the robot. For example, I placed my index.html and hexapod.php in 192.168.1.90/hexapod so that's where the UI can be found. The robot doesn't move unless you select "Auto" or "Manual". Selecting "Auto" disables the arrow buttons. The hexapod walker then starts walking by itself and will be moving its head left and right. Selecting "Manual" will enable the arrow buttons. You then use the buttons to control the robot. Here's my hexapod walker in action! 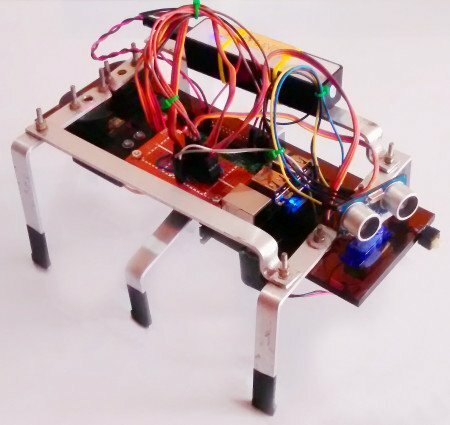 Do you want to build your own hexapod walker? If you have some questions, kindly post a comment below!